According to a recent feature from Time, a new report has found a connection between traumatic brain injury (TBI) and energy drinks in teens. The report writers surveyed teen brain injury victims to see if they had reported drinking large amounts of energy drinks in their respective daily lives prior to suffering the TBI. They found an alarmingly high number of victims had been drinking the energy drinks. As a control, they also asked teens of the same age who had not suffered a traumatic brain injury and the percentage of teens who had not consumed energy drinks was considerably and significantly lower. In trying to prove causation, there has been difficulty finding why chemically and biologically this would be occurring, but the survey results clearly indicate some level of relationship. Some researchers and medical doctors believe chemicals in the drinks, including high levels of caffeine and other supplements, can have an effect on a child’s brain as it is developing. 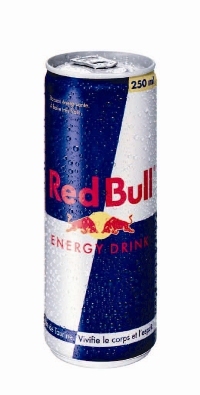 Another answer suggested it has nothing to do with effects of energy drinks, but on who typically drinks them. Since marketing is heavily geared toward sponsorship of sporting events, athletes, and teams, kids who play sports consume the drinks in larger quantities. It is logical that kids who play sports, especially contact sports like football, ice hockey, or lacrosse, are much more likely to suffer a head injury or traumatic brain injury. So the correlation is real, but causation is not. Regardless of the effects of these drinks, medical health professionals are very concerned about the increased trend of teens drinking energy drinks mixed with alcohol or drinking them before drinking alcohol. Alcohol is dangerous enough for teens, and alcohol mixed with energy drinks can have devastating effects. On the one hand, it can amplify the effects of the energy drinks, and, on the other hand, it cannot overcome the depression caused by alcohol, so the teens are drinking more. This is extremely dangerous behavior and often results in serious injury, illness, or death. As our Boston traumatic brain injury claims attorneys know, the fact that the research is not entirely conclusive is not surprising. There is a lot that is still not known about traumatic brain injuries. But what we do know is that prompt medical treatment is essential. If you or a loved one is ever in an accident that results in head injury, it is essential that you never refuse medical attention. Even if it seems like everything is okay, it is better to have a full neurological assessment. During this assessment, a doctor will be able to determine if any scans or other tests are necessary. One you have been checked out and given any medical treatment you need, you will also have the benefit of complete medical records of your injury that you can provide to your personal injury attorneys. Your attorney will be able to use these medical records when creating a demand to send to the other party or his or her insurance company during settlement negotiations. Should the case not settle, these records could be very helpful at trial to prove damages.